Snowy Rugby pitch at Four Fields, Ovenden Rugby League. 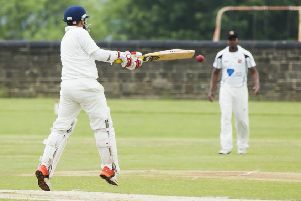 Widespread postponements have hit the Calderdale sporting scene this weekend. FC Halifax Town’s home game with Sutton yesterday and Halifax RLFC’s match at Batley today were early casualties. Brighouse Town’s game against Ramsbottom at Hove Edge, which was due to take place yesterday, has quickly been re-arranged for Monday, March 12. Brighouse Town Ladies’ trip to Crewe Alexandra today was called off yesterday. The Halifax Saturday and Sunday League programmes were postponed by league officials with pitches under a blanket of snow. Siddal’s National Conference League RL game at West Hull was postponed and the home date with promoted Hunslet Club Parkside next Saturday will now be their opening league fixture of the season. Every game in the Pennine League was off and there are no reports of any of Calderdale’s six rugby union clubs having played, meaning an extension to the season by at least week for some clubs. This Tuesday’s Halifax-Huddersfield Winter League golf meeting at Outlane has been put back a fortnight. Sports fixtures at Park Lane School, Exley usually beat the weather. However, Halifax Hockey Club’s home matches on the astroturf were called off yesterday and indoor netball matches in the West Yorkshire League were postponed.